Like what you see? Tap the "Pin" button above to save this with a pinnable image on Pinterest. 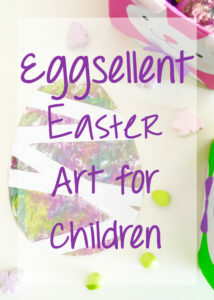 Inside: This adorable craft is perfect for even the littlest of children because it utilizes process art to create a beautiful Easter art craft for children. You can either draw the outline of an egg on the white paper yourself, or you can print one online. Once you have the white paper with an outline of an egg ready to go, you can begin taping. Cut several pieces of tape longer than the width of the egg. Start at the top, and make a linear design with the tape by layering and crisscrossing the pattern. Keep in mind, that when your child is done painting, you will wipe the paint off of the tape to reveal the design. Next, you can begin painting. I recommend selecting a few colors for your child to choose from. This is because if too many colors are mixed together, the egg may turn out brown or black. 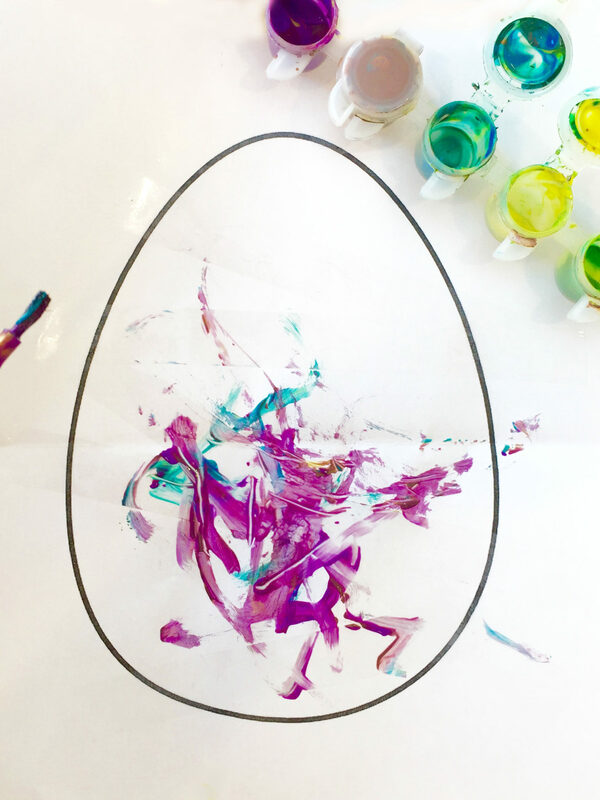 For our egg, we used purple, yellow, green, and blue. This is the fun part, so get messy and make some art! After the painting is complete, let the egg begin to dry for a few minutes. Then, take a damp piece of paper towel and carefully wipe the paint off of the strips of tape only. It should wipe off easily. When you are finished with this step, the white of the paper should be showing through from under the transparent tape. Finally, you are ready to cut around the exterior outline of the egg. Voila! 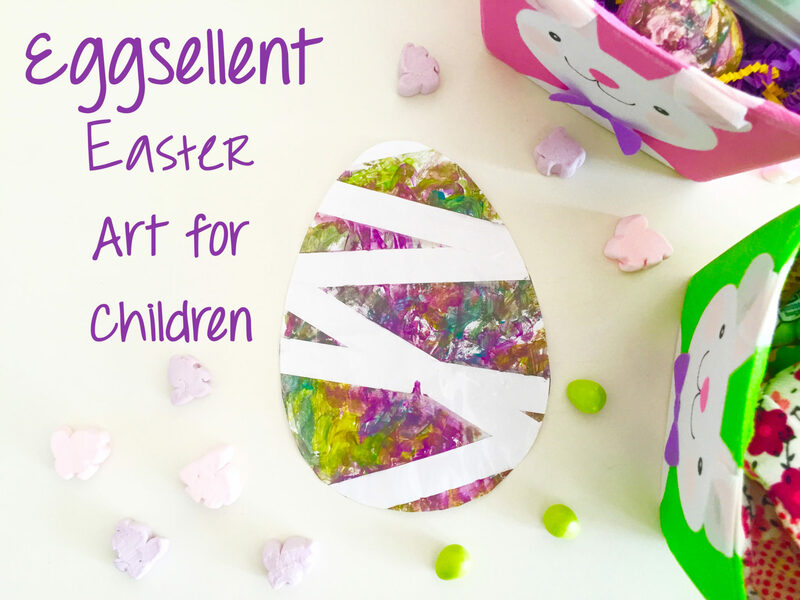 There you have it, you completed your Eggsellent Easter Art. You can frame it, use it as spring decorations or even put it in the Easter basket. P.S. – If you enjoyed this post, you may also like Search SILLY sc Silly Scissor Haircuts Activity + Scissor Safety Printable. This is a super cute activity! I think I will do it this afternoon with my kids! Thanks @One Mile Smile! I hope you have fun. I did this with my two-year-old and she had a blast.